Background: Many people do not realize that Young is the 15th most common surname in Scotland. The Book of Surnames notes that Young is more popular in Edinburgh, than in any other city in the world. One person of every 185 people in that city bears this name in Edinburgh and Glasgow comes a close second. These Border ruffians, or reivers as they were known, were wild lance-slung men in iron caps and leather coats, riding north and south on their ponies, looking for other men's cattle. The Scottish Kings rarely had much control over this unruly lot, but they often relied upon them when trouble broke out. The Borderers thus, lived a separate existence from that of those in the rest of the kingdom. With constant war or raiding, it is no wonder that there was little love lost between the Border English and Scots. In the near by town of Jedburgh, for instant, a game developed called 'Jedhart Hand-ba' which was said to have been played with the heads of slain Englishmen. The first written records of a Young on the Border dates from the year 1335 when Roger Yung, a Scottish gentleman, was released by the English from the Tower of Berwick. Moneypenny's Chronicle published in 1597 and 1603 clearly lists the Youngs as one of the Border Clans of Scotland. The Youngs were engaged in blood feuds with the English Border Wardens, such as Sir Robert Carey, as well as the English Selby, Heron, Ogle, and Collingwood families. In 1596, Carey wrote of his greatest challenge, "This country has become almost slaves to the Scots, and dare do nothing displeasing to them. If the country rise upon them when they are stealing in England, and either kill one by chance, or take him with the bloody hand, delivering him to the officer for execution, if they be but foote lownes and men of no esteame amongst them, it may pass unrevenged: but if he is of a surname, as Davyson, a Younge, a Burne, a Pringle or Hall or any thei make accompt of, then he who killed or took him is sure himself, and all his friends (specially those of his name) is like, dearly to by yt, for they will have his life or of 2 or 3 of his nearest kinsmen, in revenge of their friends so killed or taken stealing here. ..."
Although the name Young was common in other areas, there is nowhere we find a greater concentration of Youngs than in East Roxburgh. They were especially numerous in the Bowmont Valley, south of Yetholm, where they hailed from eight or more estates on both sides of the Bowmont Water. They also held a number of keeps, or peel towers as they were called. These included the towers of Barnhills, Hoselaw, Waterside, and Moss. The Youngs of Otterburn were the "chief riders" of their name and the leaders of numerous raids on English strongholds such as Wark and Harbottle Castles. It was an Otterburn Young who led his small band of men to boldly harry an advancing English army in the early 1500s, capturing their commanders chaplain and almost the capturing the English commander himself. The Youngs may not have been a large clan, but estimates show they could muster between 200-400 armed men. They were part of the notorious reiving fraternity and the records contain an extensive list of raids led by various 'Yonges', including Blackhall Jock, Hobb of the Bog, Hob the Gun, Tom the Gun and many others. They defended their homes against the English raiders and armies, as well. Sir James and Dand Young, for instance, where both recorded as killed in defense of their towers "for they would not yield" to the English. Motto: Robore prudentia praestat, Prudence excels strength. Arms: Argent, three piles Sable, on a chief of the Last as many annulets Or. 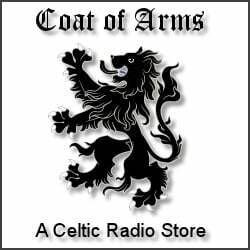 Crest: A lion rampant issuant Gules holding a sword Proper. Badge: A demi lion or, collared, per pale, erm. and ermines. This name is clearly personally descriptive but may have been applied to distinguish a father from a son, when both bore the same Christian name. In this instance the name in Scotland would be synonymous with Younger, used to describe the heir to a feudal title. Malmor and Ade, called Young, appear at Dumbarton in 1271. John Young of Dingwall witnessed a charter by the Earl of Ross to Reginald, son of the Lord of the Isles in 1342. Alexander Young was chaplain to the House of the Holy Trinity at Aberdeen in 1439. Peter Young was born at Dundee on 15 August 1544, the son of a merchant. He and his brother were given a very thorough education and in 1569 Peter Young, on the recommendation of the Regent Moray, became assistant preceptor to the three-year-old James VI. He was later to become Almoner to the King, an office that he held until his death. He was employed in a number of embassies and came to enjoy considerable royal favour. He was knighted at Whitehall on 19 February 1605. Sir Peter had a large family,many of whom also rose to enjoy royal patronage. One of his sons, another Peter, was part of the Embassy to King Gustavus Adolphus of Sweden in 1628. Sir Peter Young was to outlive his pupil, James VI, by three years, dying at Easter Seton in January 1628. He was succeeded by his eldest son, Sir James, who had extensive grants of land in Ireland. The name has become common in the counties of Antrim, Tyrone, Down and Londonderry. The descendants of Sir Peter married into numerous prominent families. Margaret Young married Sir John Forbes of Craigievar in 1659. Robert Young married Anna, daughter of Sir William Grahame of Claverhouse. The family sold their original estate at Easter Seton and purchased the lands of Auldbar in 1670. In 1743 the estates were sold to William Chalmers of Hazlehead who was related to the Youngs by marriage. Brigadier Peter Young DSO was a distinguished soldier and military historian. He was awarded the Military Cross on three occasions and was for a time commander of the Ninth Arab Legion, an elite unit of the kingdom of Jordan. He was reader in military history at the Royal Military Academy at Sandhurst and formed the Sealed Knot Society in 1968. The fortunes of this family are so inextricably linked with the Stewart monarchs that it is perhaps fitting that this military history society, dedicated to the study of the English civil war and the Scottish Wars of the Covenant, should have been founded by a descendant of the Youngs of Auldbar. Name Variations: Og, Ogg, Juvenis, Jung, Young, Yhong, Yong, Yonge, Yhonge, Yunge, Yhung, Yowng, Ywng, Zowng, Zong, Zhong, Zung, Zeung, Zoonge, Tarno.